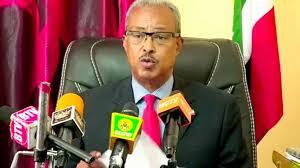 Mr. Osman Abdilahi Sahardid aka “Adani” a former Minister under president Silanyo’s administration and member of the country’s ruling party-Kulmiye, as declared his intention to contest the chairmanship of the party after the incumbent president, Musa Bihi abandons his political life. Mr. Adani speaking to the local press in Hargeisa announced his intention to vie for the chairmanship of the party once president Bihi steps down. 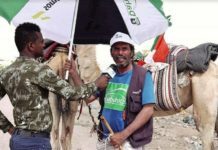 Kulmiye as Somaliland’s ruling party is gearing up to hold a gathering for its central council members which is scheduled to transpire in Borama but Adani has not further spelled out that he will officially throw his hat into the ring while the central council gathering kicks off in Borama, Awdal’s provincial capital. Next articleMigrant Containment at all Costs: What is Left of European Humanity?